Your notes are excellent. 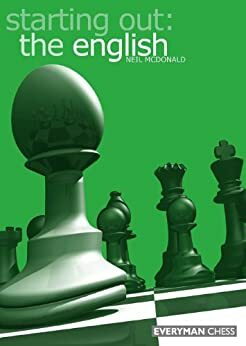 I read part of this book, and I felt that it was a nice tour of the rich range of position that can be reached from the English. There is a new book on the English that also seems to target club players: The English Move by Move by Steve Giddins. He is a very instructive author, so I have high hopes for this book, even if I expect a substantial overlap. Hello Freelix, thanks for the comment. I recall recently seeing at ChessCafe that the Giddins book had come out, thanks for reminding me of that. I'll have to keep a look out for any reviews of it. I've just received my copy of the Steve Giddins book mentioned. Not having read it yet, i can say that the contents fit well with what I wanted. It appears to give an objective review of the English as a whole with some detailed notes. I have the Caro book in the same series and it is considerably thinner. However, the quality may make up for the size !